Are you looking to get into real estate? Then congratulations! This can be an extremely lucrative field that brings you and your family a lot of success and prosperity. However, it can be equally as vicious if you’re not careful. Make sure you’re prepared and know the “musts” and the “must-nots” before you invest in your first property! Here are some of the basics you want to make sure you understand before making that first pivotal buy and breaking into your career in the real estate market! It takes a lot of time to find a property worth investing in – but it’s well worth being patient and putting in the extra time and effort to do your homework, because it really pays off. Learn evaluation techniques that will aid you in determining how good a property will be for your investment portfolio. Most prospective investors choose to visit the property, research the neighborhood it is in, and research the data available on comparative market analyses before investing in any real estate property. Finally, they gather the necessary calculation tools to compare their options and determine their potential to turn a profit (and how much). When it comes to selecting quality real estate investments, cash flow is an essential factor to understand and keep an eye on. However, owning real estate comes with other benefits that might influence your choices. In most cases, investors consider the profit they’ll earn after fixing up the property and selling it (flipping it) against the profit they would make from renting the property out. It’s also important to consider your annual income against the property’s decreasing values to determine how much will be owed in taxes. You’ll have the best success with good bank rate amortization. Being able to purchase your investment property with a low or no down payment can be very appealing, but remember that this strategy comes with some major disadvantages. Leverage is cash that you as the investor need not have on hand, but that you have access to, allowing you to acquire an asset. Some investors of real estate do this through non-bank financing, allowing them to purchase property. This can increase the property you own, but it’s important to know the risks before you do this! It’s essential to understand the types of mortgages that are available and how each pose benefits and risks. This is critical to your success in the real estate market. 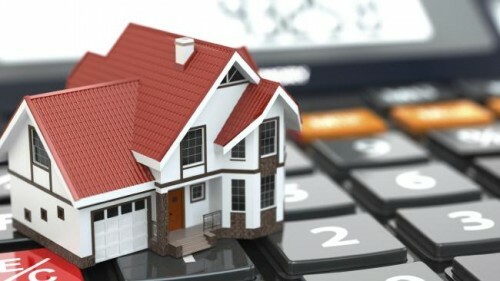 Investors usually must possess 20% of the property’s final sale price to be able to qualify for an investor mortgage. Consider shopping around to find options with low interest rates and be cautious with offers for adjustable rate, zero down, and balloon investment mortgages. #5: Are You Cut Out to Be a Landlord? If you’re considering making a profit off of your real estate investments by renting it out to tenants and becoming a landlord, it’s important that you first take a long moment to look within yourself and ask if you are cut out for that type of life. Assess your temperament and skills to figure out if that is something you are really capable of doing (and you have to do it well, too, if you want to be successful!). You will need to keep your properties occupied at all times, and you will need to be available around the clock to address any problems that arise. As an investor of real estate, you can either hire a property manager to handle your day-to-day business operations or take care of them yourself. Whichever you plan on doing, make sure you are fully committed to your decision to be a landlord before starting – because people’s homes will depend on you.